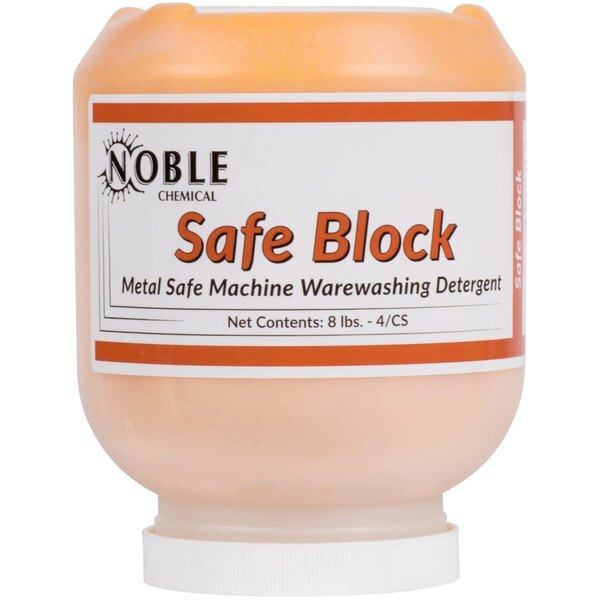 Noble Chemical’s Safe Block metal safe machine warewashing detergent removes grease and food from your dishes. When it comes to running any kind of foodservice establishment, you know the importance of keeping your tableware looking clean. 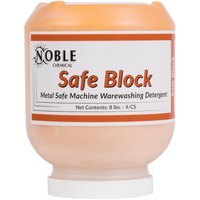 Thanks to Noble Chemical’s Safe Block machine warewashing detergent, you can continue to do just that. 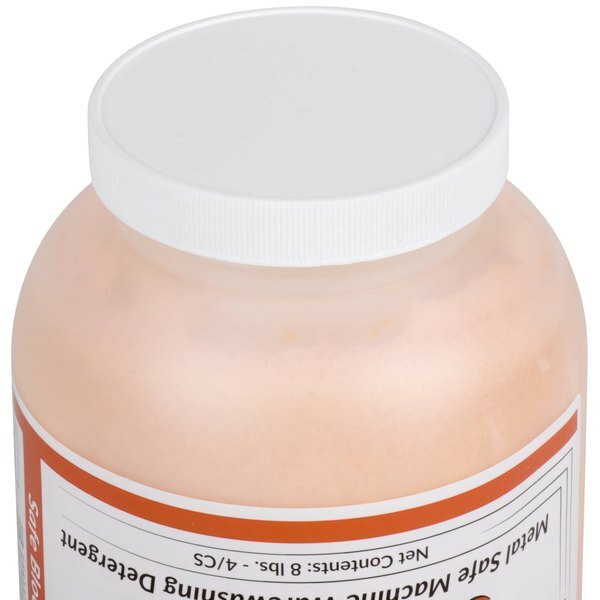 This product is specially formulated to remove grease and food from your silverware, glassware, and dishware. 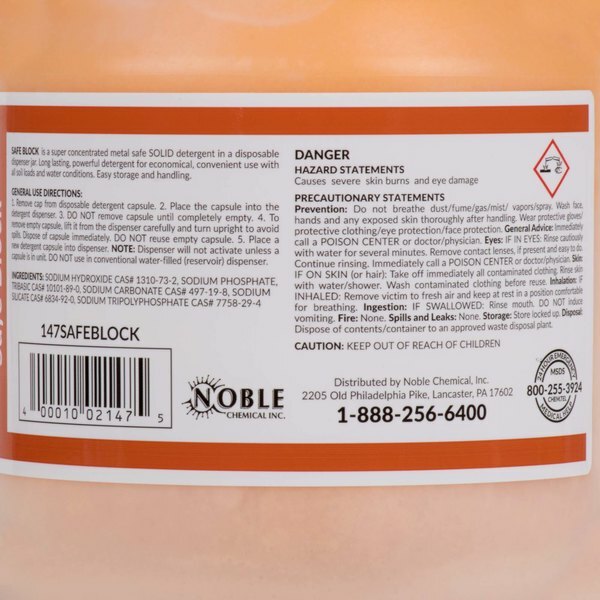 Additionally, this detergent is metal safe, so you don’t have to worry about it damaging your dishes and cookware. 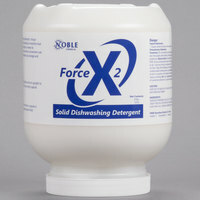 "by using the noble brand chemicals you can really save a lot of money. this dish machine detergent works just as good as the name brands. great deal." To use this product, follow the instructions on the label. 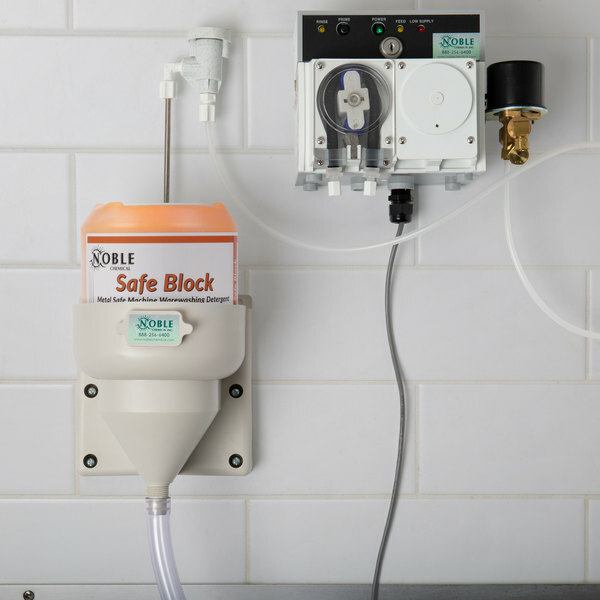 Simply place the bottle of Safe Block upside down into the detergent dispenser. Do not remove the capsule until it is completely empty. 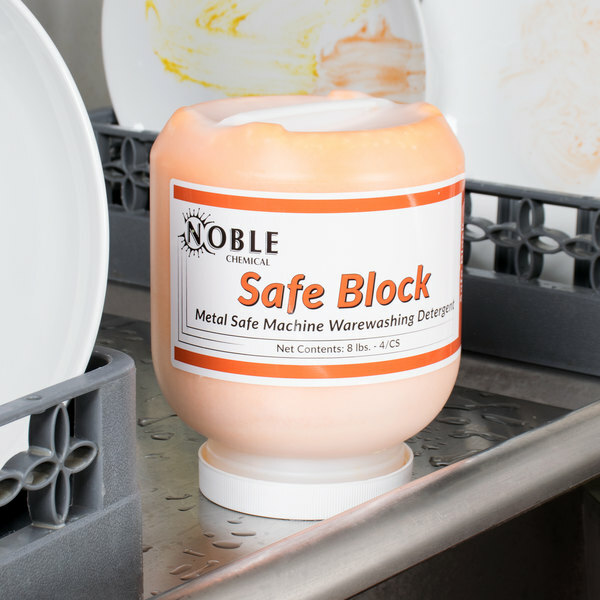 Noble Chemical's Safe Block detergent is designed to remove grease and food buildup on your dishes to improve their appearance after warewashing. Since this product comes in a convenient disposable dispenser jar, it can be simply disposed of once it is empty. 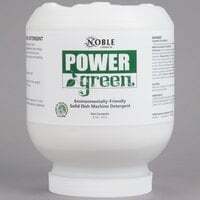 Noble Chemical brand supplies are a smart addition to any restaurant, hotel, or healthcare facility, and this handy detergent will keep your dishes, cookware, and silverware clean and spotless. 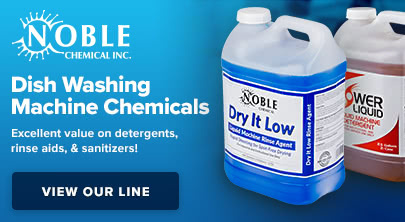 Noble Chemicals offers an extensive selection of institutional and industrial supplies, including cleaning chemicals, insect control solutions, disinfectants, and other products, all of which are available at competitive prices. 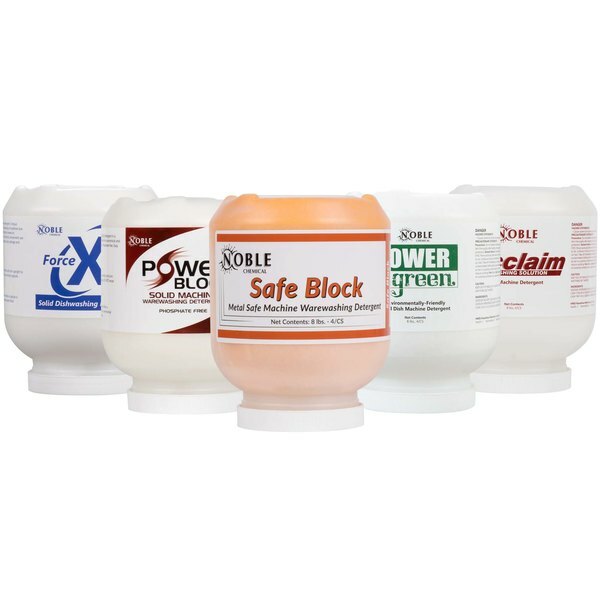 Plus, these chemicals come packaged in simple jugs and containers that are versatile enough for nearly any job in a business. 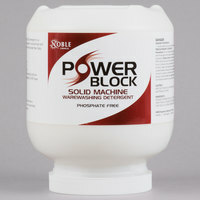 Does this solid detergent capsule fit all chemical dispensing systems? This item is compatible with any solid detergent chemical dispenser that holds capsules that are 6” in diameter by 7 ½” in. in height with a 3 ¼” opening. We recommend Viking Bowl Solid / Powder Chemical Dispenser and a compatible Viking chemical pump. I have to admit that I am very impressed! I can’t believe how clean this products leaves even the dirtiest of dishes. I would recommend it. The 8 lb. /128oz. noble. 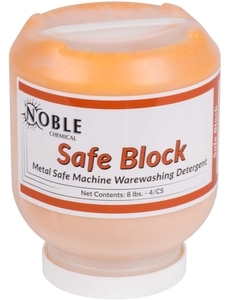 Hemical Safe Block Metal Safe Machine Warewashing Detergent works well. It leaves dishes very clean and is for a great price. I would definitely recommend. I am sure this detergent is great, unfortunately when it arrived we realized that it doesn't fit our dishwasher. Webstaurant was great about taking it back and crediting us. 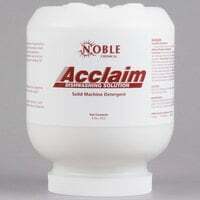 by using the noble brand chemicals you can really save a lot of money. this dish machine detergent works just as good as the name brands. great deal.